Where I daven - and it is in a minyan with talmidei chachomim and learned ba'alei battim - just about no one recognized today's Haftarah. Evidently Mishpatim almost invariably coincides with Parashas Shekalim, Machar Chodesh or Rosh Chodesh, so this Haftarah is rarely heard. מפטירים בספר ירמיהו, פרק ל"ד, שם מתאר ירמיהו את דיני העבד העברי, ונוזף בעם על שאינם מקיימים אותם. הפטרת משפטים נקראת רק בכרבע מהשנים, בשנים מסוג השא, השג, החא, בשז וגכז. בשאר השנים הפשוטות קוראים את הפטרת פרשת שקלים, ובשאר השנים המעוברות קוראים את הפטרת ראש חודש או "מחר חודש". I am a bit skeptical about it even being 25% of the time. I think we would then have some recollection of it. Especially considering what a Haftarah it is! A stirring Haftarah on Hashem's concern with a just society! But how do we reconcile the words of the Navi with the Chazal that the first Beis HaMikdash was destroyed on account of the "Big Three?" I gave the drashah today, and tried to give an answer. But the question was better than the answer. The answer was based on the deliberate addition of those two pesukim at the end, in conjunction with the Gemara in Nedarim that the Beis HaMikdash was destroyed because they learned Torah, but without Birchas HaTorah. To this I added the "machlokes" between the Chazon Ish and the Novarockers on Negi'os; the Tiferes Yisroel on the "malach" Hashem sends with us into Eretz Yisroel; the agrarian quality of the ideal life in EY; the Arvei Nachal in Parashas Yisro on mitzvos that arew "min ha'bo b'yado", the notion of Emunas zeh Seder Zera'im; Dr. Nathan Birnbaum's HaOlim manifesto encouraging a return to an agrarian society, and RAEK's advocacy of the opening of Battei Mussar throughout large cities. But the question was still better than the answer. Well, I don't know where Michael is a student today, but I teach 11th grade in MTA and would be thrilled beyond measure to have such a talmid in my shiur! Michael Weiner is 15 years old. He is currently in tenth grade. But his wisdom and insight exceed his chronological age by light years. In fact I would say they exceed the wisdom and insights of many adults. I don't know too many people who are as intellectually honest and keenly analytical about what they encounter in the world in which we live. He has written here before, He did not disappoint then. And he does not disappoint now. His unedited words follow. For as long as I can remember, I have been stuck in the middle. At the non-denominational Jewish elementary and middle school I attended, I was the only Orthodox student who took notes and did homework alongside my intelligent, cynical, and proudly non-religious classmates. Such a setting had its positives and negatives. Undoubtedly though, I was zocheh to take part in some tremendous kiddushei shem shomayim as a result of being among non-orthodox students for so many years. Every Shabbat at my Orthodox synagogue, I was the only kid who did not attend the local ultra-orthodox yeshiva populated by the wild children of black-hatted, black-bearded rabbis who learned in kollel and their demure, bewigged wives who raised children and made excellent kugels. On weekdays right after school, my brother and I studied various sugyos in gemara with our chareidi shul rabbi, and my worlds collided. My Reform and Conservative classmates walking through the non-denominational school hallways wearing shorts and t-shirts would stop and stare as a man decked out in a white dress shirt, black hat, and thick leather volume tucked under his arm would lead my brother and I into a quiet room in the corner of the building to study 1,500 year old Jewish legal arguments pertaining to questions of finding lost objects, the laws of public Torah reading, the intricacies of the Jewish calendar, as well as fanciful Talmudic legends and stories. I loved it all: the challenge of reading foreign script, the winding legal analysis, the Yiddish phrases my Rabbi would pepper his questions with, and finally, the strange, surging emotion of connectivity that I felt to ancient commentators and arcane ideas. Due to all of the above, Talmud Torah became an addiction for me. Meanwhile, outside in the halls, my friends passed the time waiting to be picked up by listening to rap music, playing basketball, and using lots of profanity. Just a few hundred feet away, my brother, the Rabbi, and I were engaged in passionate Talmudic arguments over questions such as whether one who finds a bundle of purple wool indiscriminately scattered on the sidewalk is required to announce this discovery even if the original owner has already given up hope on finding the object. It might not seem interesting, but to me, this study was electrifying. After the hour-long session, we would and I would go home to complete homework problems far more boring than discussions of purple wool, and talk to my friends about basketball, rap music, and the goings-on of the secular world. Again, I was stuck in the middle, between the yeshiva and the academy, the pull of America versus the tantalizing forces of religious texts and learning- the havayos d’abayeh ve’ravah. In middle school, my non-observant classmates began asking me questions about my Orthodox faith, practices, and upbringing. One boy couldn’t understand how I could keep Shabbat and therefore not use the Internet for a whole day. Another girl had questions about kashrut and why God would care what we ate. One of my closest friends at the time was an outspoken atheist. In 7th grade, we would sit for hours at lunchtime discussing basketball and rap music as well as science, god (or lack thereof) and philosophy. I didn’t have the answers to all of my classmates’ questions, so I asked the very same black hatted rabbi, an English major at Yale who became observant in his 20s and today rails against secular college, homosexuals, and television. He gave me some answers I liked, others I didn’t and a bit later on, I went home and asked my modern orthodox, college-attending, television-owning parents the same questions and they gave me different answers. At first, these discrepancies were quite troubling. It took me years to accept the fact that there are sparks of truth in all the questions I got from my non-religious friends and all the answers I received both from my chareidi rav and from my parents. Today, I am in 10th grade at a Modern Orthodox yeshiva high school and I again feel stuck in the middle. Many of my classmates are frustrated with the strictures of an Orthodox lifestyle and want to throw it all away in exchange for a normal high school experience. They want the dances, proms, short days, and lax dress codes of regular American teenagers in exchange for the thrice daily tefillos, hilchos shomer negiah, and gemara shiurim. Rabbis tell them that Judaism is beautiful, that their religious tradition is inspirational, rich, and true. But they do not listen, nor do they believe in that which they practice. Every day, I see groups of kids sneak out of shacharit (morning prayer)- the most intimate moment of the day when we are allowed to grasp on to the Soul of the universe and better understand Him and ourselves- in order to talk, play games, and dream about the secular world I left behind. Every day, I see Modern Orthodox high school students who are supposed to take pride in balancing Torah and openness to modernity together choose one over the other. Hint: they did not choose Torah. Where are the intellectual heirs of Rabbis Hirsch, Solovetchik, and Kook? Many Modern Orthodox students and families I know have prioritized the modern over the orthodox. In a tug of war between secular studies and Gemara, secular studies wins every time. It is a sad and unfortunate truth. Sadly, those classmates of mine who are serious about Torah and observance are much more chareidi-leaning and frequently discuss topics like the height of our mechitzah and how the Shulchan Aruch would be against mixed-gender schools. They remind of me of the yeshiva students I knew years ago, their pale faces constantly reading holy books, their bodies moving awkwardly to avoid bumping into women at a crowded Kiddush. One of them is a good friend of mine, and we debate endlessly about the legitimacy of the state of Israel, the state of Modern Orthodoxy, and halacha in contemporary times. Listening to him rant against the dangers of all things “modern,” I smile bitterly as I remember witnessing another Modern Orthodox classmate of mine break Shabbat because he hated religion and embraced modernity. If you clench your hand too hard, the bird dies. If you open your hand, it flies away. Where is the happy medium? For most people, it is one or the other, black or white, dead or alive. I have that familiar sinking feeling of being stuck in the middle, again. Sometimes I think of my Rabbi from the past, a lonely figure in black that inched his way through the crowded hallways of my school filled with immodestly clan women, foul language, and normal American teenagers, in order to give me a drink from the everlasting fountain of Torah. But of course, I cannot follow in his footsteps. For admittedly, I do enjoy learning English, history, and math, listening to rap music, and watching television shows. Israel is on the brink of civil war between people like me and people like him. I wish it didn’t have to be that way. After all, what we share is a deep love of Hashem, Torah, and Klal Yisroel. That itself should be enough to bind us together as a people. Oftentimes, I feel like the Mishnaic sage Rabbi Meir, who witnessed his teacher Elisha ben Avuyah become a heretic due to his readings of Greek philosophy and struggle to understand the grand scheme of divine justice in this world. Despite Elisha’s apostasy, Rabbi Meir continued learning from him, ignoring the protests of his rabbinic colleagues by responding with the statement: “ochel tocho vezorek klipaso” ‘I eat what is ripe and throw out the shell.’ I disagree with so much of what non-religious Jews believe, and yet I have learned from them how to be kind and how to question religious authority when necessary. Modern Orthodoxy has plenty of problems, inconsistencies, and the next generation does not look so bright, but my greatest role models are its Rabbis who imbue within me their love of Torah while still astounding me with their knowledge of philosophy and science. And yes, I have boundless appreciation of and respect for the chareidi world, its total dedication to Talmud Torah, and chessed. Nevertheless, I cannot see myself living in the yeshivishe velt of black and white, minimal secular studies, and closed doors to the outside world. So where do I belong? What box do I check if they ask me what my religious preference is? I don’t know. I am perpetually stuck in the middle. You can give me some pointers in the comments, though. After all, kabel es ha’emes mim sheomro! Kol tuv. Scholar in Residence Information - please share! We are basically "empty-nesters" as of this year, so would love to do more SIR programs, etc. Please consider scheduling a program, and/or pass this along to the "powers that be" in your shul or other organization. Thanks! We are organizing our schedule for this Spring. We both have a large and varied repertoire of topics and programs. We can also custom design programs. We are available both individually and jointly. shuls, communal organizations, educational institutions, as well as hotel scholar-in-residence events and programs. Please feel free to forward this email to anyone you think might be interested! 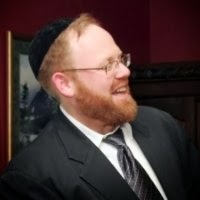 Rabbi Yosef Gavriel Bechhofer is a Rebbe and Maggid Shiur at the Mesivta of Yeshivas Rabbeinu Yitzchok Elchonon (aka MTA) in New York and an adjunct professor at Excelsior College. Rabbi Bechhofer has served for many years as a Rav, Rebbe and Rosh Kollel in the Chicago and New York areas. Rabbi Bechhofer learned in many yeshivos, including Sha’alvim, Ner Yisroel and both Mirrer yeshivos. He received Semicha from Rabbi Yitzchok Koolitz, Chief Rabbi of Jerusalem, and Rabbi Zalman Nechemiah Goldberg, Av Beis Din of Jerusalem. He holds an M.S. in Education (concentration in Counseling and Guidance) from Johns Hopkins University. Dr. Shani M. Bechhofer is one of the foremost authorities on all aspects of Chinuch and Educational Leadership. She is a much sought-after consultant, who recently formed her own consulting agency. 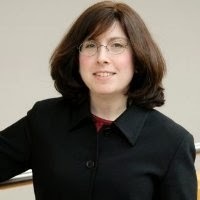 Dr. Bechhofer is also an adjunct professor at the Lander College of Touro University and instructor in Torah Umesorah's Aish Dos professional development division. Principal of the Hanna Sacks Bais Yaakov High School of Illinois. undergraduate degree is from the Stern College of Yeshiva University. Rabbi and Dr. Bechhofer have six children and two grandchildren, and live in Monsey, NY. Bechira Chofshis: How Free are We? Moshiach: Are These Messianic Times? What are They/What do they Do? in a Company that Trades in Treifos? Is a Promise Halachically Binding? What's a Bracha & How Does it Work? & no Rabbi to Ask: What do you do? Allowed to Assume the Kingship of Israel? Rib'is: Subscribing to Jewish Periodicals? Is the Way to Heaven Paved with Them? Is there a Halachic Basis for Yom HaSho'ah?